So the cat is out of the bag… Not that I was hiding the cat in the bag, because I didn’t know anything, but the cat’s out of the bag. There’s a new D&D in the works, and an open playtest will help chart its course. So as a guy that built a website devoted to 4e, how do I feel about this announcement just 4 years after the launch of the edition of the game that brought me back to D&D? I’m optimistic and excited. It’s no news to regular readers of my blog that 4e ran its course for my home players some time ago. While I still run an online 4e game, my home group lost faith in 4e and never looked back, and we moved on to Dragon Age. But you know what? They miss D&D, they just won’t play 4e. Perhaps this next version of D&D will do the trick and bring them back, lets see what it looks like and what it brings to the table. I have my wish list of what I’d like to see, and I also wrote a post last year predicting what a new D&D may look like. My wishes for what a new D&D would include are relatively simple. For one, I’d like to keep the ease of DM prep that 4e brought to the game, along with the advancements in design it introduced (I mean things like monster stat blocks for example). I’d also like combat to move fast. Really, really fast. I’d enjoy a grid less experience if I wanted to resolve a fast enough combat. For players, I’d want a real multiclass system, and a move away from powers. Also, bring Vancian spell casting back, as that’s a big part of D&D for me. Give me the flavor that D&D has in some of the old 2nd Ed. books for example, not just pages and pages of mechanics. Give me a sense of exploration, not just set pieces showcasing shiny rules. 4e has moved in a great direction in this respect so far, so I’d love for the trend to continue from the launch of the new edition. What am I expecting? Well, like I said I wrote an article not too long ago predicting what I expected the new game to be. I’m going to cherry pick quotes from various news sources from today’s coordinated media release and compare to my prediction post. Combat was quick and satisfying; we got through most of an adventure in just a few hours. And I get the sense that fifth edition will bring back some of the good complexity of previous versions, allowing players to create unique characters and new worlds. Most of all, it feels like D&D, not a console video game, or an MMO, or a card game. That’s the first step towards bringing old players home. Mike quickly got the party investigating a lost relic, and after three hours of adventuring we quickly discussed what we liked and didn’t like about what we played. It’s a compliment to the new rules that I was rarely aware of them. It might have been Mike’s expertise as a DM, but the new D&D does feel like a pleasant amalgam of every edition and the elegance of the rules allowed us to concentrate on the adventure’s plot. “We hope to create a system that allows players to use much of their existing content, regardless of the edition. Our goal is to make sure we are on course for a game that hits the broad spectrum of D&D,” Mearls said. I did get an opportunity to playtest some of the materials… it felt, in many ways, very retro. The new edition will be designed as a basic rules set which can be expanded upon with stack on rules to suit the tastes of mechanics complexity to suite the players and DMs. …since the designers are trying to bring forward the best parts of every edition of D&D, expect this edition to be very DM-friendly. So what do I expect this “Ultimate 40th Anniversary D&D” to look like? I’m seeing a game that combines both old school mechanics, with newer game design theories. I’m seeing a game that can be both grid based, or gridless, depending on your style. I’m seeing less focus on encounters, and more focus on roleplaying and story, while still easily enabling a heavy tactical nature to it for those players that enjoy it. I’m seeing conversion documents for easily translating older AD&D adventures to the “Ultimate” format. Adventures that, of course, will be available for purchase on their site as pdf’s…. …. So to close this out, I’ll restate my prediction: Dungeons & Dragons Ultimate Edition, released in 2014. It will incorporate rules for both abstract, and tactical combat, it will be heavily influenced by early D&D, and it will be made to hopefully appeal to old school players, as well as current players of the game. It will be announced in 2013, and is currently in development. It will bring back the sale of older pdf’s to the market, as it will be made to easily use that material with some easy conversion work by the players. I have confidence in Mike Mearls, he’s a guy that knows what makes D&D what it is, and with him at the helm, at the very least I know he’d at least give an honest effort in bridging the gap and bringing D&D back to what it can be, and should be, as a cultural icon. Of this I have no doubt. So a new D&D? I’m on board for the ride. Roll for initiative. I agree with bringing Vancian magic back — as an option. If the wizard is Vancian, but the sorcerer uses AEDU, or even better if the player can make their Wizard Vancian or non-Vancian, when great. I hate Vancian, and don’t want it to be the only option, but I have no problem with someone else playing it in a game I’m in. I’m glad that I don’t chase D&D around just because it has the brand name. I’ll pick any non-D&D fantasy system over whatever rules reset that WOTC comes up with since 3.5. I just don’t see how they can make the D&D tent big enough to hold everybody. Sometimes, it can be easy: I dislike Vancian magic but it seems quite feasible to have multiple wizarding rules that allow for both Vancian and non-Vancian methodology. But how do you cater to somebody that likes the tactical flavor of 4E with somebody who wants the thoroughly non-tactical combat of older editions, like OD&D or AD&D? Andrew, I don’t think you can. That’s how people are going to have to break into groups — a combat-heavy group, or a light-combat group. Or, have rules for both tactical and non-tactical combat, and let the DM choose when to use each. Stop buying new D&D products from WOTC. Just reuse old versions or play a different brand of fantasy RPG. So much fantasy has been done in RPG’s, there is no *good* reason why a person cannot find what they need in something that has already been printed. Like Andrew said, they will not have a tent big enough to hold everyone. If you really like wasting your money, then its your right to do so. You will be asked to buy a complete set of new books every 5 years. Maybe the real problem is an addiction to buying shiny new books? Symptoms include thinking that no set of rules will ever satisfy you. I’m with newbie 100%. I very much like 4E but for some reason, I’m truly ready for something new and engaging. I like James comment, it is this kind of open-mindedness I think we’ll see in the new design. I hope players have similar attitudes that “as long as I can do what I want, I don’t mind if someone else can do something different that is what THEY want”. If so, we’ll all be ok.
Andrew, I think they can do it and I have high hopes. This quote from Mearls addesses your comment about tactical combat. It has me thrilled to get my hands on this ruleset. This is what I want from the next edition. OPTIONAL miniatures rules. They’ve already won me over. As long as the tactical guy can get what he wants out of his game and I (the story guy) can ignore that aspect of the game, everything else is gravy. Truth be told, GURPS has a lot of these characteristics. It has an advanced combat section. It has super-tactical combat and it has very simple combat. It has the ability to drop in alternative magical systems. Psionics. It has different levels of sophistication for different styles of combat. I guess it’s been done. My problem is this notion of the “core D&D” concepts. What are those? Everybody has different core D&D concepts, don’t they? Some value Vancian magic. I still think Vancian magic has always been the worst idea D&D brought to the table. Of course, they can make that optional. But then what makes it D&D? The race selection? Other games have that and they’re not D&D. Classes? Monsters? I kind of think that’s the point right? As long as they have all those things/concepts as options (vancian magic, psionics, combat rules, etc) then if that is what you think IS D&D than you can have it. Each person can make D&D back into what they think it SHOULD be because the tools will be there. My D&D may not be the same as your D&D and perhaps it shouldn’t be. Perhaps thats what D&D has truly been about since the beginning, that we each make it our own. And in trying to make it “better” in each iteration, such that it requires fewer house rules to make it “right”, they’ve actually gotten away from that. Just thinking out loud here. Our group absolutely loves 4e. Do you think they will improve on the electronic side of things? Everyone in our group uses a tablet or an iPhone to run their characters. Meaning being able to build a character using a tablet or accessing tools currently only available on PC. This. I remember those. I remembering dropping cash for a trail map. Just a map! No new classes, feats or powers. I remember all the fluff that went into campaign settings. I remember the Volo’s Guides which didn’t have a single mechanical aspect in them but entertained and informed much more about what the FR was like than any list of +1 this and 3[W] + Str that. They were also Edition neutral. I could use them with 2e, Pathfinder, 4e or even Savage Worlds. In fact some of the inns in Volo’s Guide to Waterdeep have influenced the nature of some bars in my Traveller game. Unite all D&D players under one product? Psst, don’t tell anyone but you already have. I agree with Froth. I don’t want the majority of my 4E collection to become worthless (which they probably will); and I bet they will not have focussed on the areas where 4E did a really poor job – specifically the economy, and giving advice on how to scale up from discrete one-room encounters to a full and convincing dungeon / gameworld. If they gave a coherent means of introducing the bulk of 4E source material into the new edition so 4E doesn’t just end up being “a total waste of money” for me, I’d be able to get behind it; but with so much left unfinished, unpolished, and downright broken in 4E solely down to a lack of effort on WOTC’s part, I’m pretty outraged that they expect me to open my wallet for them to have another bite of the cherry. What about a 4E amnesty and rebates on the new materials if we turn in our old books? 4E books only lose their value if 5E is an amazing improvement. Otherwise, just keep playing 4E. And if 5E is an amazing improvement, well, who cares about your other books, be excited that we have an amazing improvement. It’s a win win. 🙂 The glass is half full, is what I always say. As someone that is brand new to tabletop RPGs. I mean, I JUST ordered some ‘Essentials’ products from Amazon yesterday because I have a group of friends and we are all interested in D&D and none of us have done tabletop RPGs before. Should I hold off? Do I try to cancel the order and just wait to start playing when 5e is released? I know this probably isn’t the right venue for this request, but please someone offer me some direction. Dont. For one, 5e is likely a few years away and 4e is a fun game. Do not hold off. 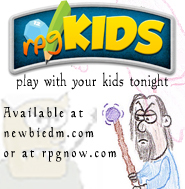 Play your game, enjoy rpg’s and explore a new edition when the time comes. 4e isnt going anywhere soon I think. Okay. Thanks for the quick reply post. I just needed somebody to talk me down. I just got finished buying 4e stuff, and I here of this. That’s what I get for starting late. I know this might get some old players back, but might prevent future younger gamers, who expect the video-gamish like style of 4e. While I would love a sort of style revert, some people may be turned off by it. I loved this discussion. Keep the fire burning. Great Post Newbie. The ‘truth’ on what happens behind the walls of Aniston’s home comes to light only after a security cam footage is stolen from her Californian house. They also cover divorce stigmas and marriage proposals. It also hosts its own yearly festival: The Brighton Festival, which runs for three weeks.